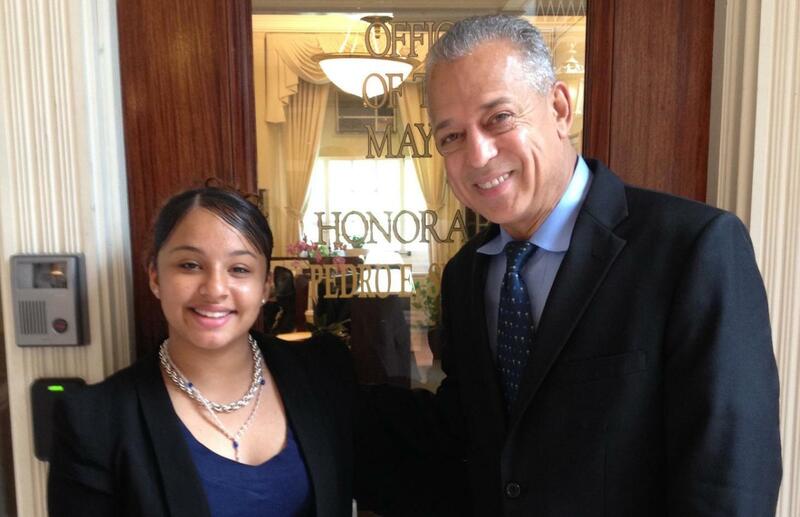 Check out one of our freshmen, Tatianna Caraballo, conducting an interview with Mayor Segarra regarding behavioral policies in Hartford Public Schools for her Research and Composition class! We welcome the 2015 National Honor Society Inductees at this year's induction ceremony. Check out our college acceptances! Seniors have worked hard and the acceptances to higher education programs are coming in! Read more: Check out our college acceptances! Join us at the Senior Medallion Ceremony! Join us at our annual Medallion Ceremony, honoring our seniors and their accomplishments! Monday, June 15th, at 5:00 PM at the Mark Twain Museum. Read more: Join us at the Senior Medallion Ceremony! LGA final exams will be held from June 8th - June 11th.